We’ll always have the biggest selection and lowest prices in town! 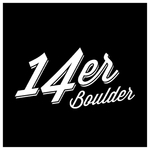 We offer true top shelf medicine at the lowest prices in Boulder. Come in and check us out, we have a small friendly staff, and a comfortable waiting room with many beverages for you to enjoy while you’re here! All new glass pieces in today! First time or a member? Get 20% off your glass and accessory purchase. Also, check out our piece of the day, it’s an extra 10% for everyone and guaranteed beautiful! livwell has a great variety of strands to choose from. cool staff too..